Is Your Spouse’s Medical Debt Considered Marital Debt in Tennessee? In most instances under the law, debt is incurred in the capacity of the person(s) involved in the transaction only. Yet, there are several exceptions to this rule. State contract and family law apply to determine if one spouse may be liable for the debt of the other spouse. Tennessee law has provisions for garnishment, to levy bank accounts, to foreclose on property, and place a lien in certain circumstances.1 Additionally, if you sign a contract as a grantor for the medical care of a friend or family member and agree to contractual provisions that you will pay in the event that they fail to do so, you may be legally bound by that contract. Thus, if you were married to your spouse at the time your spouse incurred medical bills, your spouse was provided medical services, the medical services were necessary, and your spouse never paid the debt, you may be considered liable under the common law necessaries doctrine.8 Objectively, this doctrine seems quite unfair. A spouse may legitimately have no notice that their spouse has sought medical treatment and incurred medical debt and may be quite surprised to be sued over the debt. 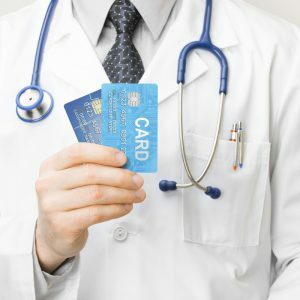 Yet many medical debt holders may also choose to forgive the debts in such cases that seem exceptionally unfair even if not required to do so by law. As a public policy matter, Tennessee law should encourage people to seek treatment for serious medical conditions. This antiquated application of common-law could easily be overridden by statute if the Tennessee legislature desired to do so. Perhaps now is a good time for that action. 2 Outpatient Diagnostic Ctr. v. Christian, No. 01A01-9510-CV-00467, 1997 Tenn. App. LEXIS 305, at *7 (Ct. App. Apr. 30, 1997). 4 Id. at 7 (citing Simpson v. Drake, 150 Tenn. 84, 86, 262 S.W. 41, 41 (1924)). 6 Christian, *8 (citing cases from New York, Rhode Island, Vermont, and Virginia in support).